Mina Simington is Jack’s secretary. She is often very concerned over Jack and tries her best to be useful despite the fact that he is always cold towards her. She is the only one that know Jack’s true reason of fighting the Dark Signers: Carly. She has shown to have feelings for Jack (though he doesn’t seem to reciprocate) and envys Carly for the attention he gives her. Mina was assigned by Rex Goodwin to keep tabs on his protege, Jack Atlas. After Lazar reported Jack’s meeting with Yusei Fudo, Mina told Goodwin about it during a meeting with Zigzix. Though Goodwin politely excused himself from the meeting, once in the hall, Goodwin chastized Mina harshly afterwards (in the Japanese version, he nearly strangled her for letting Jack anywhere near the “Satellite scum”). She, Goodwin, and Lazar watch the duel between Yusei and Jack on the police scanner, and Mina is seen casting her superiors a nervous glance. She is also a part-time manager for Jack’s dueling career. She also encourages Jack to play as the King for the public to keep his image. Mina took care of Jack, after he was hospitalized from his Duel with Yusei Fudo during the Fortune Cup. Mina and Trudge tracked down Jack after he left the hospital, finding him staying with Carly Carmine. Mina becomes upset when Jack refuses to leave with her and jealous that he’d rather stay with Carly. Eventually, she helps Jack get back to Satellite by helicopter, where they find Yusei dueling Kalin. Although Jack wanted to get closer, Mina advised that he stay in the helicopter because he doesn’t have his Duel Runner with him and couldn’t do anything. After Yusei and Akiza’s second Duel, she informs Akiza that Sayer was using her and other Psychic Duelists to wage a war on the world that rejected them. As Akiza runs from the truth, she says it’s pointless to deny this. As Officer Trudge daydreams about being in love with Mina and giving her a flower he picked, he notices her in conversation with Jack and realizes Mina has feelings for Jack. After Yusei and Roman’s Shadow Duel concludes, Mina reveals to the Signers that the Enerdy Reactor posseses four control units that were installed after the system was shutdown due to the Zero Reverse incident. Each unit has a codename which corresponds to each of the Nazca Lines. Those being the Giant, Lizard, Hummingbird, and the Monkey, as for the the Spider it corresponds to the reactor itself. She also reveals to the four Signers, that their corresponding Five Dragons Duel Monsters’ cards, were designed to activate these stations. After revealing the location of the four control units, and after each Signer deduced where their acknowledged rival was waiting for them, they split up. Mina takes Akiza by car to the Lizard control tower to face Misty Tredwell. The 2 of them become aware of the Monkey Geoglyph on the sky thinking that Luna is facing against the Dark Signer, Devack. As Jack faced Carly in a Shadow Turbo Duel, she notices the Hummingbird Geoglyph in the sky. As Akiza senses too through her birthmark, she asks Mina if she is worried about Jack. Mina responds that she has faith in him and knows that there’s no way he’ll lose. After the Duel ends and the geoglyph disappears, Mina is relieved to hear from Akiza that Jack won. While on their road to their destination, Akiza tells Mina about the first time she duel against Misty. And about the fact that the female Dark Signer blamed her for Toby`s death. As Mina ask if any of this is true Akiza respond that she doesnt remember, making asumption to that maybe Misty misunderstood something. But Akiza respondedly doubts that, as Misty anger and revenge are real, and so that anyway she must settle things with her in order to respond to Yusei and the other Signers wishes. Finally the two of them reach the location where the last Tower is at an old and abandoned carnival. As they split up in search of Misty, Mina is soon tricked by a disguised Sayer and lock into an underground water cage. Where later is join by Yusei who has been assaulted and defeated by him. Thus they both are saved later by a determined Trudge who at first couldnt opened the sealed water cage, that is until Mina shouts out loud for Jack which makes Trudge jealous. As they notice the Lizard geoglyph on the sky, Yusei soon hurries to where the duel is taking place. He is stopped as Mina tells about the cause of Misty’s revenge against Akiza. After he leaves, Mina and Trudge also get to the dueling site where both Leo and Luna are watching too. After the duel ends in Akiza’s favor they all foresee the appearance of the King of the Underworld, who is heading towards the formed Condor geoglyph which is on New Domino City. As with this the Crimson Dragon appears once again and guides everyone to Rex Goodwin’s mansion. Where he reveals to them its identity as the final Dark Signer, and then declares that a Shadow Turbo Duel will be held within Condor geoglyph as a ritual to welcome the King of the Underworld. As Yusei, Jack, and Crow accept the Duel in order to stop the resurrection of the Underworld Ruler, Mina along with Trudge, Leo, Luna and Akiza are currently watching. Once Yusei finally defeats Goodwin, everything returns to normal and everyone resumes their normal lives. 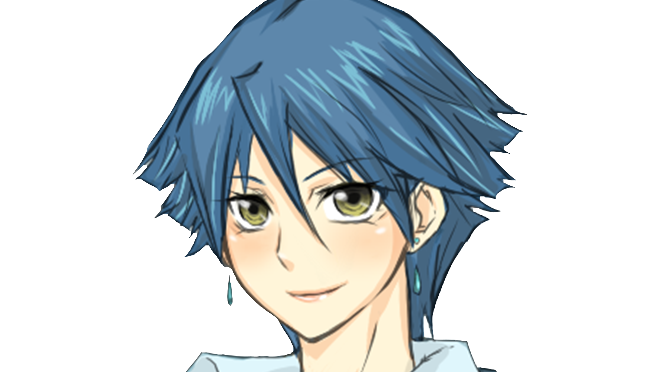 After that Akiza, Leo, Luna, and Mina sit at a table looking at Misty Tredwell’s latest pictures. As Leo mentions that Yusei is late when Trudge pulls up noting that Jack and Crow haven’t shown up either. Carly, disguised as an old man, reveals herself and is shocked that the two haven’t shown up, thinking there could be a scoop. Trudge asks her if she already has a scoop but Carly remarks that no one remembers anything and she doesn’t remember anything before she became a Dark Signer. Akiza smiles and is thankful that everyone in New Domino City and the Satellite have returned. 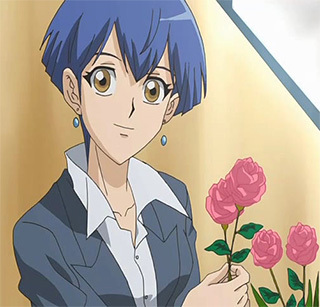 By the beginning of the second season,Mina occupies another job in which she is Chief of Special Investigations, with Trudge serving as her assistant. They are the ones looking into the Ghost situation and also ask for Yusei, Jack and Crow’s help to resolve it. After the duel against Ghost and its identity being revealed as a Riding Roid, Mina reveals that the robot is a prototype. When Yusei later goes missing, she accompanies Akiza on her search. Not Available.. Mina only Duels in the video games.